This is the ultimate meal planning guide. 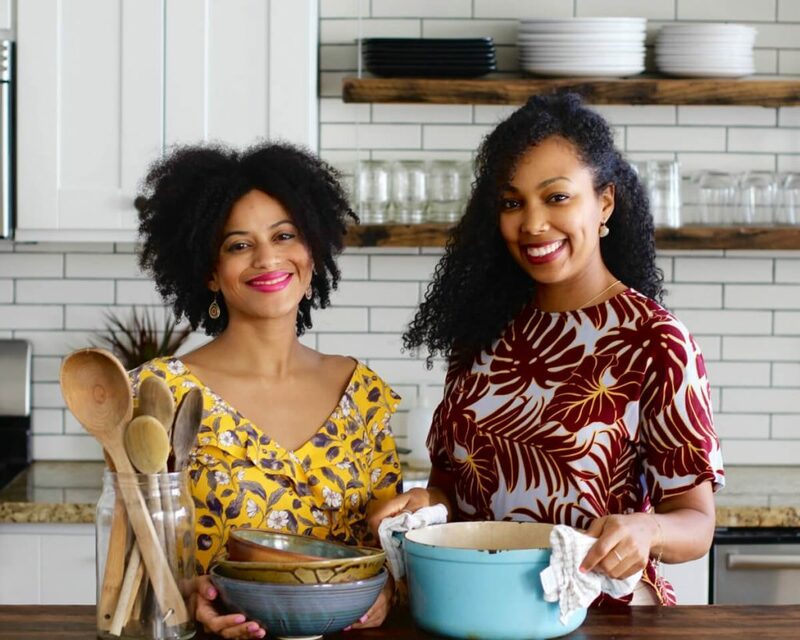 You hear us constantly talk about meal planning and how much we love doing it. But still, many of our clients aren’t making meal planning a part of their weekly routine. And we think it’s because they may be going about it all wrong. Does meal planning have to be a complicated thing? Do you have to create a new recipe for breakfast, lunch and dinner to reach your health goals? 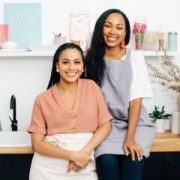 In this Ultimate Meal Planning Guide, we clear out the clutter and share all of our secrets for making meal planning work. 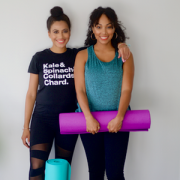 You’ll learn how to plan and prep appropriately to meet your health goals without exhausting all of your time and energy. A huge advantage to meal planning is that you will actually gain time. Think about it. How much time do you spend a week either at the grocery store, preparing meals, cooking, and then cleaning up? With meal planning, you can free up much of this time by just devoting a couple of hours a week to planning and preparing in advance. We like to do our meal planning on weekends, and prep many of our meals Sunday so they’re ready for the work week. This added time allows us to spend more time doing the things we love. Our favorite benefit of meal planning: saving money. Who can’t afford to save a penny here and there? Through meal planning, you won’t wander the aisles picking up things you don’t need and you will also eat out less often. Trust us, your bank account will thank you in the end. Stick to the plan and meet your goals. It’s as simple as that. When you have a plan in place, you are much less likely to run through that drive through or feel stressed about what’s for dinner. Meal planning does not necessarily mean that you have to have every meal and snack ready to go. 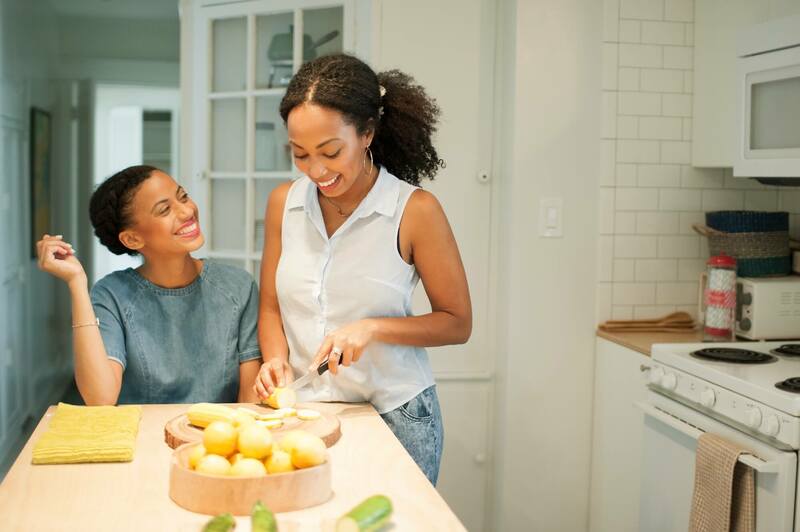 It simply means that you have a plan in place that will make it easier to eat healthy and ease the stress of preparing meals. Taking the time to do some meal planning is essential. 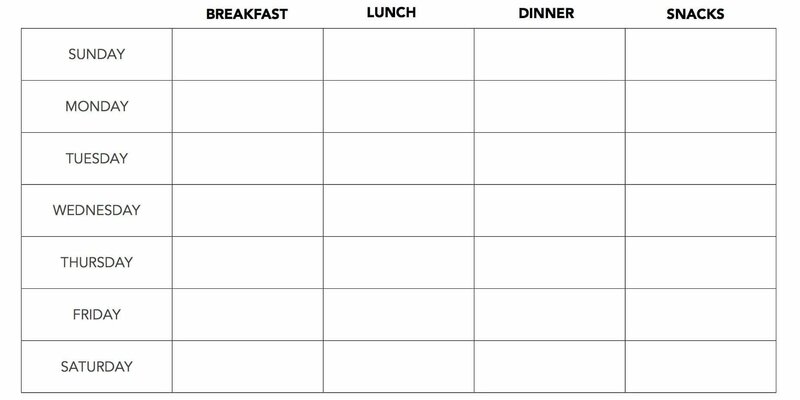 Pick a day that works for your schedule to sit down and map out what you’re going to eat for the week. Be realistic. If you know that you have plans to eat out with friends one night that week, plan that into your meal plan. If you know that you are in a rush in the mornings, choose a meal that will help you get out the door more quickly like smoothies or oatmeal. Use healthy meals you already have in your repertoire. It’s always best to start with what you know and love. Be sure to plan meals and snacks that are balanced. When planning meals, aim for ¼ of your plate protein, ¼ of your plate carbohydrates, and ½ of the plate non-starchy vegetables. Have snack options ready, for when you’re hungry in-between meals. Some of our favorite snacks include fruits, nuts & seeds, and dark chocolate. Before you run off to the store, be sure to check your own cabinets and storage to see which ingredients you still need to buy. This will ensure that you don’t buy things you already have. Once you know what’s there, make sure to cross it off your grocery list to avoid buying unnecessary items. Wash, chop, cut, dice, and portion. Chop all of your fruits and vegetables, cook your grains, wash your greens, and store in airtight containers. Investing in good tupperware will be one of the most important keys to meal prepping so that your fruits, vegetables, and pre-prepped meals stay good throughout the week. Make sure to plan for meals that you will actually enjoy! No one wants bland rice and vegetables every night (unless that’s what you like). Find recipes with flavors and ingredients that will make you look forward to your meals. Stock up on spices, herbs, oils, vinegars, and sauces that will liven up your meals. Make this a time to get creative and have some fun in the kitchen. 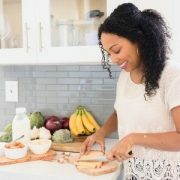 Meal planning is a major key to success with your health goals. It will help in achieving and maintaining your healthy eating goals. 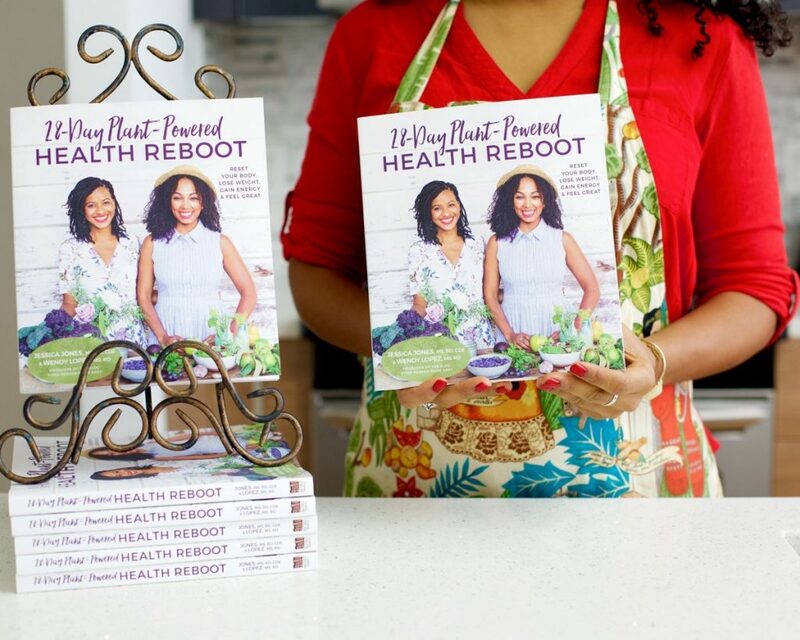 For more ideas and sample meal plans, check out our 28 Day Plant-Powered Health Reboot cookbook, where we teach you how to plan and meal prep with guides, shopping lists, and delicious recipes. How many of you have meal prepped before? Share your pro meal planning tips in the comments below! I food prep for the week every Sunday and it is fun and easy. One of my favorite staples is steak salad: Grill lean beef, make homemade croutons, and chop then box up veggies like cherry tomatoes, scallions, cucumber then top with crumbled blue cheese. Finally just have done reduced basalmic vinegar from the grocery store to take with you or drizzle some into a small container. This sounds amazing! Sounds like you definitely have it down! Meal prepping & planning has revolutionized my life! I, too, wash, chop, shred, and portion out my veggies & fruit, cook a batch of grains (usually quinoa), make overnight oats for the week just grab a jar and head out the door). GOOD MUSIC is key to enjoying this time in kitchen – I often find myself dancing around the kitchen as I prep my delicious meals for the week! Starting each Monday knowing I am prepared to eat whole, healthy meals all week is a great feeling, like knowing I can crush this! Yesss my thing is listening to podcasts during cooking!